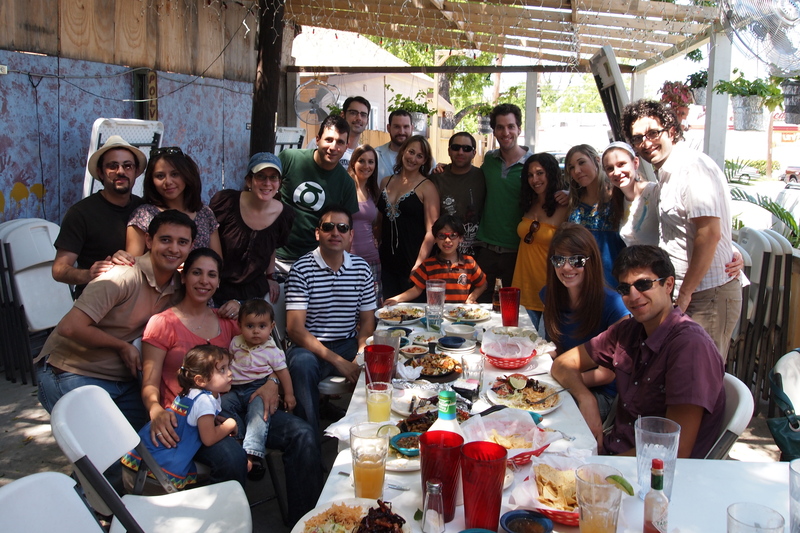 Thanks to everyone who showed up for the surprise lunch on Sunday and especially to Shlomit who not only flew to Austin for the weekend, but stealthily organized it without me having even the sightliest clue. I am not worthy. Also, thanks to everyone for the birthday wishes. I got A LOT of phone calls, emails, and Facebook wall posts. And as everyone knows, number of Facebook wall posts is the ultimate and most precise measure of how much one is loved… looks like I’m doing OK.
Too bad I missed your lunch because of my soccer game… you know how much I love birthday lunches with LOTS of friends! Happy Birthday – glad it was a great day, Marcos!